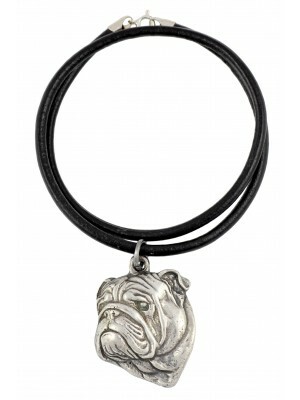 Bulldogs are the breed of dogs with unique nature. 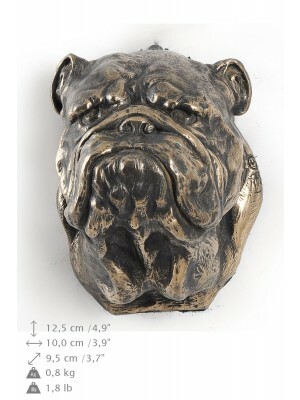 It is known that bulldogs have their own specific character. 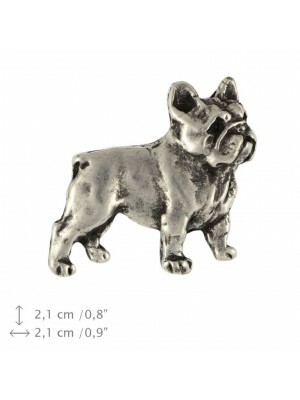 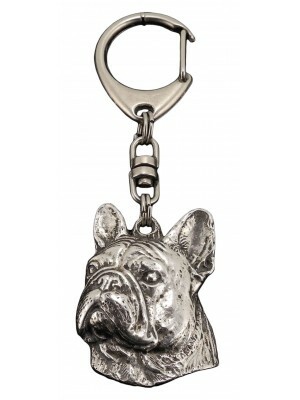 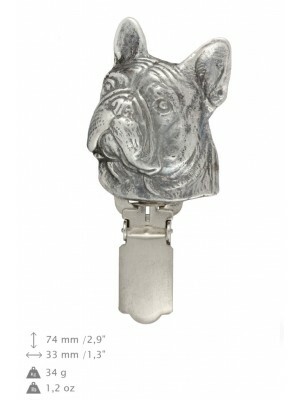 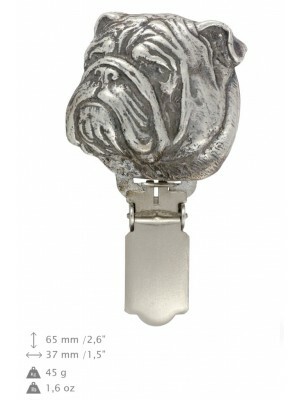 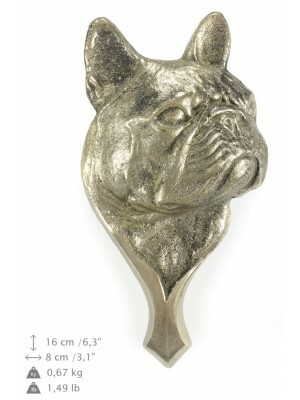 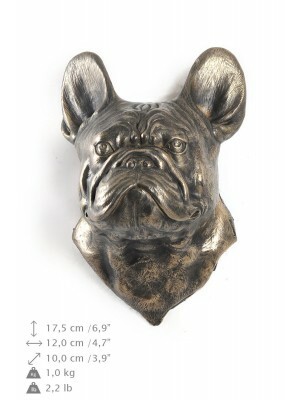 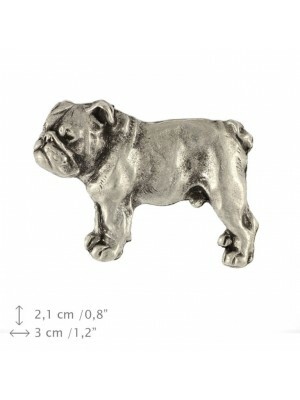 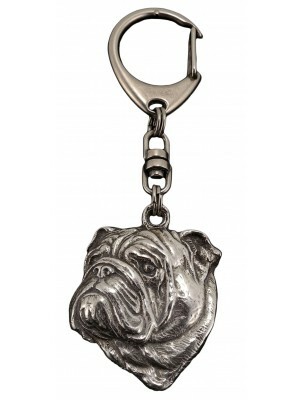 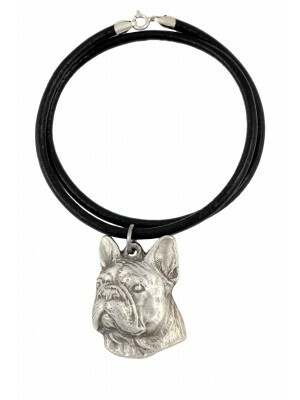 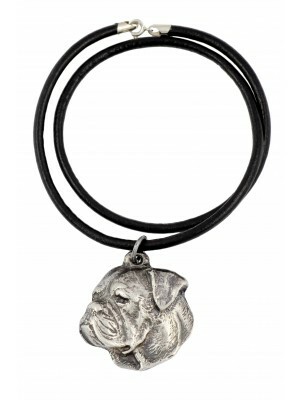 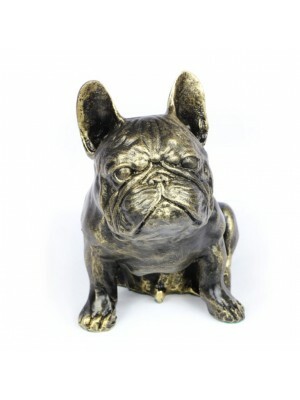 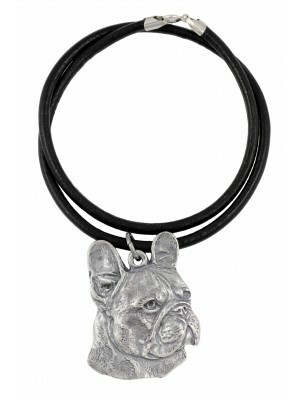 In our offer we have products with French Bulldog, English Bulldog and American Bulldog. 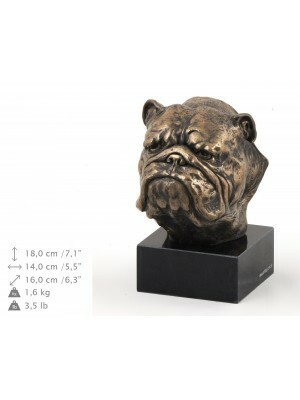 Among many others we offer real size or only heads resin sculptures. 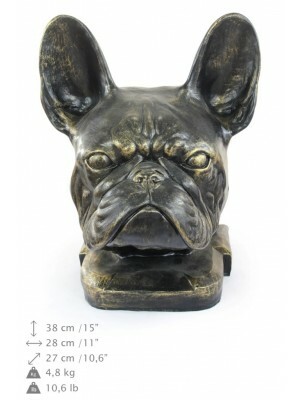 While exposed in the house or in the garden they give amazing effect. 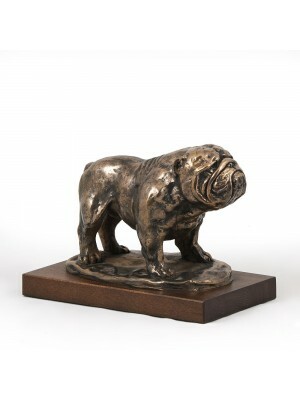 Others castings are made of cold cast bronze and are fixed to the marble or wooden base. 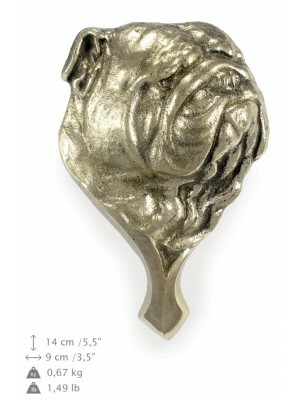 We also offer key rings, brooches, earrings and buckles made of zinc and aluminum alloy, covered with silver or gold layer. 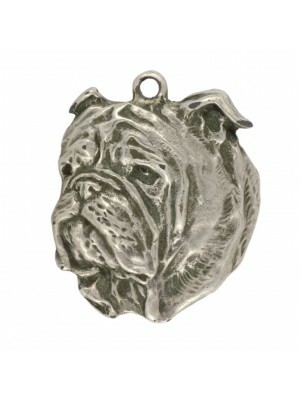 If our client gives a special order we are ready to made them all silver or gold. 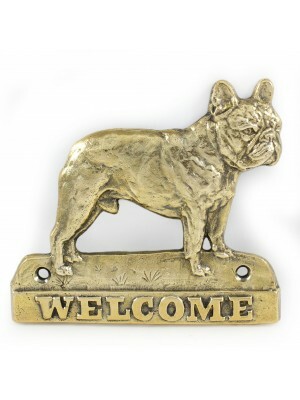 Our knockers and hangers are made of very durable brass. 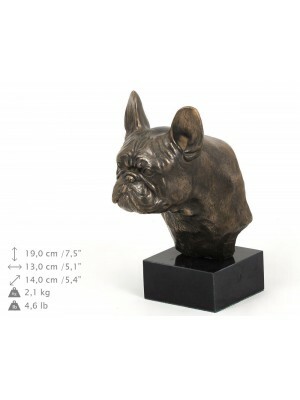 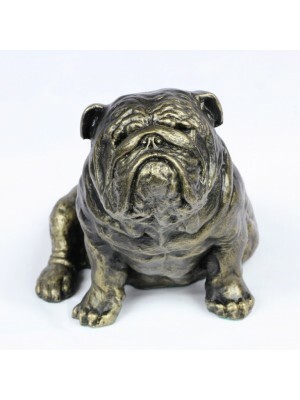 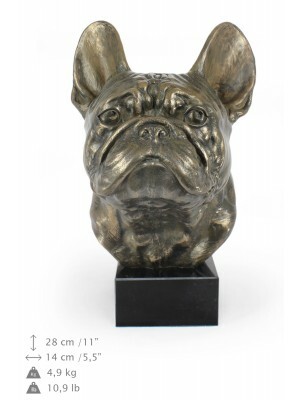 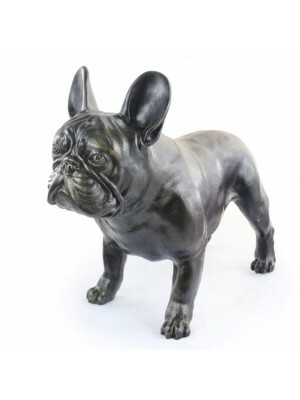 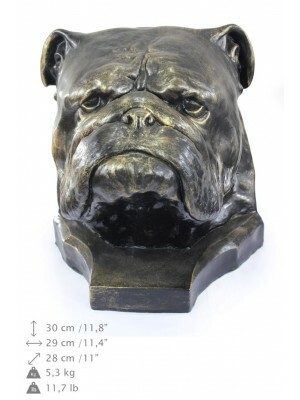 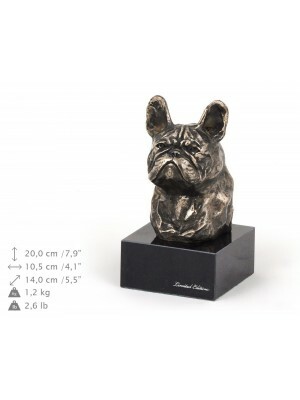 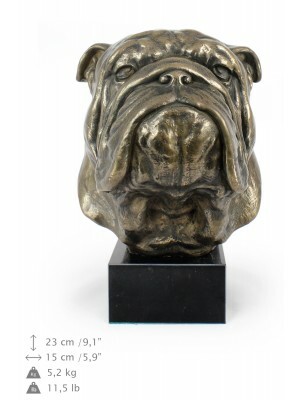 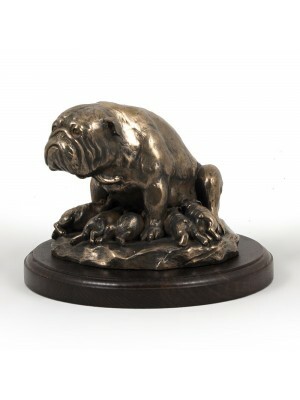 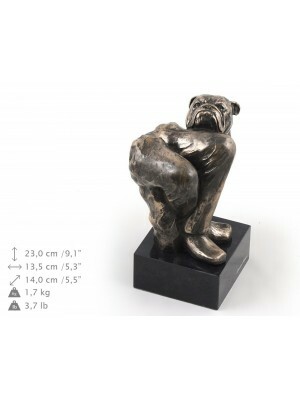 We offer unique, hand-made urns with a figure of a dog on top for the dog ashes. 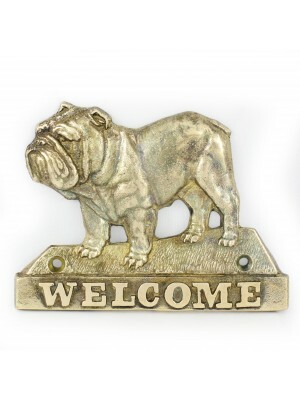 Our offer also contains products with a picture/figure of a dog such as: hangers, candle holders, earrings, notepads, necklaces, hip-flasks and wooden signs. 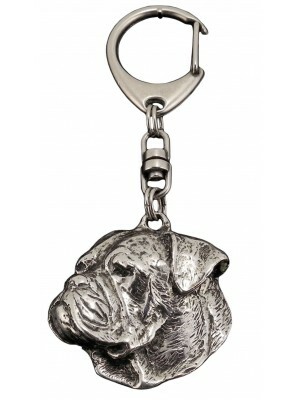 All of our products are made by an artist in a way which perfectly reflects the given breed of dog.